When I was still working I wanted to save money so when I reached forty I will be able to retire early and start up a business of my choice. It did materialize that when I reached forty I resigned from my job and planned on putting up a business. But I wasn’t able to save enough money for the business that I want instead I maintained four blog sites which I used to write paid ads and gave me enough earnings to help my husband in our family finances. I had some separation pay of course but I opt to keep some of it as savings for future needs. I also don’t have the time to manage my business because I prioritized adding sites for more income. Now I’m thinking of working up a plan of investment that will not cost me time and effort to maintain. My friends wanted to buy gold coins to make a sure investment of their hard-earned money because they’re very positive about the returns of their capital in the coming years. They told me about it but for me things like that should need careful planning because it involves a great amount of money. Investment is a good way of making your money grow so whatever it is you’re planning about just make sure that it’s a tangible one. We had our gutter system, roofing and ceiling repaired last week. I was relieved that we had it fixed last week before the heavy rains of this season poured down quite hard in the past days. It’s important to have a maintenance on most parts of the house because it will pose more dangers if we just take for granted the broken or malfunctioning parts of the house. The house is 35 years old from its general renovation last 1975 and in fair jurisdiction it’s more durable and stronger than any of the houses near us. We also have our windows and doors checked by our carpenter because our glasses and our front door knob has retired already. Since our door was an antique kind I’ve chosen a beautiful door knob that’s not too gold or too silver in color. I’ve chosen the one which resembles our old one because I wanted to maintain the elegant look of the door. Now even if it keep on raining I’m confident that we have checked almost all things that can be affected by the rainy season. I have no fears and worries now as I’m loving the coolness of rainy season. This is my everyday prayer for my husband and I know that with this God will always protect and guide my husband in everything that he do. I thank God for giving him to me, my friend, my love, the father of my kids and one of the best blessings I received from God. 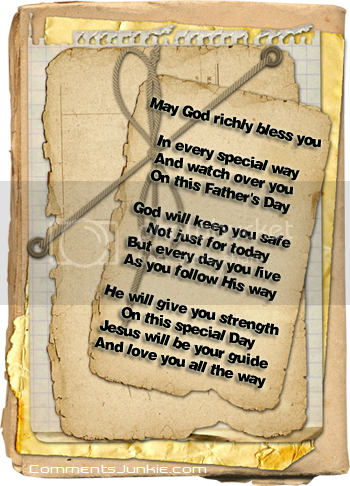 What more can I say to the man that understands, care and love everything about our family. He's always there for me to help me in anyway he can. With our new life now away from his very demanding and laborious work we're happier because he has more time for me and the kids. It’s payday again and I’m thinking of some things to buy for my hard-earned money. I’m finished with school expenses except for the few little things the school require like the white rubber shoes that were announced on their orientation. I’ve already bought Josh a new pair last summer but the required color was only announced yesterday. Anyway that’s fine because Josh can still use it on other activities outside school. Well I don’t think I can afford an HDTV right now though I’m wishing for one but I think I’ll just save my money for my master bedroom’s project next month. Renovation is still my priority these days and this is my project no. 3 since I started late last year. I’ve started with bathroom renovation which cost me a lot of money and followed by fence and wall project. Hope I can save enough to make this new project what I planned it to be. I’m so excited and looking forward to finish it in few days only. It's one of Mom's 3 birthday cakes given by my cousin Wilma on the exact date of her birthday and of course we love it because it's the Cookies and Cream from Red Ribbon. Who would resist a cake from double R. It's not me of course as I'm always looking forward to their new creations. When I want something that’s not our basic priorities I save for it and when my savings are enough I buy it. That’s what I did when I want a new gas range and a digital camera. I didn’t use my credit card in purchasing it instead I waited until my savings matched the price and then I purchased the gas range and then after several months my digital camera followed. It’s the best way for me to have my appliances and gadgets. I don’t want to be pressured on my credits and since it’s not the basic needs of my family I opt to save before purchasing. I want to practice wise spending because it will help me stretch my budget. Now I’m thinking of my kids’ college education and thinking of a good investment that will give me a high return of profit after several years just in time for my eldest entrance in university. My friend told me to buy gold coins in case I want a safe and secured investment. She told me that precious metals like gold increase values through the years just like her gold jewelleries so it’s a better investment than others. Well I’m thinking about it now and considering all factors before buying. When I was in college I dreamed of becoming a writer and since I'm very fond of romance and adventure books I wanted to write either one of these two. Now that I find myself leaving my career for a freelance writing I still want to write a book but this time it would not be a romance book but an inspirational book. Well it's just a dream of mine but I hope I can do it in my blog if not in a real book. We had a weekend vacation in MIL’s house and we spent the whole period with kids bonding with their cousins and their father’s siblings. The place was a quiet community and before the night begins you will not be able to see anyone in the street just like in the province. We were outside the house for some chatting after dinner and I nearly slept at the lounge chair. We were there to be with hubby’s sister who came here for a vacation and to arrange the house for a planned vacation of her kids. She was eyeing the kitchen for some decorative ideas and was thinking of putting up kitchen cabinets to organize the small essentials and some clutters. There are some suggestions on how to make it nice and organized and she recommended wood cabinets below the sink to have a clean look. They have agreed to look for kitchen ideas online because she‘s fond of searching for things she needs online. Well if you’re looking for kitchen cabinet designs and styles like them you can visit cabinetstore.com for a wide variety of traditional, European inspired, full access or framed cabinets. Whatever your choice of style, make and quality you can find it there. 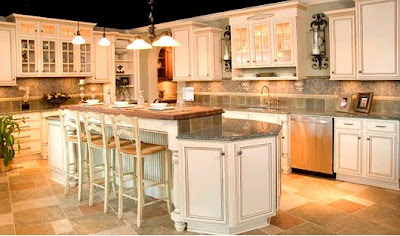 Now designing your kitchen and making it look real good, neat and organized is easy. We’re having a two-day vacation here in MIL’s house with the rest of DH’s family. The kids are enjoying their stay here with a nice view of the mountains very near the village. After lunch I find myself doing nothing and when I tried to sleep I can’t. I thought of my tasks and my new blog so I just peeked in here and checked on my mails. I also had the chance to get some reads about xyphedrine side effects and noted that it’s bad for people with hypertension, diabetes and asthma. I have to tell it to my friends so they could be warned of the effect it could do to their health. I just told them to take the healthy diet meal I recommended to them as they don’t have to worry about any side effect. Having a slimmer body need not be expensive and risky. DH just passed by and told me to take a rest now as next week would be a busy time for me to relax. 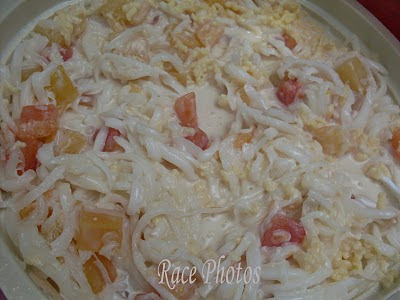 It's one of the food in my Mom's birthday in the resort and it all came from Laguna where buco fruit is at its best :-). It's one of the crops in our town and we're very proud of it. We love it also as it can't be beat with other kinds when it comes to freshness and cool yummy taste. Now this shredded buco was combined with fruit cocktail, cheese, condensed milk and creams to give that oh so yummy taste. You are just along for the ride, and you're happy to be a part of the world. You think that life is pretty great, and you're looking to find the sweetest parts of it. You like to surround yourself with friends and family. You feel happiest when you have a large support group. You get a lot of joy from helping the people in your life. You always have some encouragement to share. No I'm not an easygoing person but perhaps some part of me that I haven't known lol! But I agree that I do find life is pretty great because I always find beauty in every single blessing that God gives me. In people I always look for the soft spot or the good part in their personalities. I really feel very happy when I'm surrounded with friends and family but I also be happy sometimes even if I'm alone because that's the time that I write my thoughts out. I find solace in writing and I find comfort in blogging. I find happiness in people that I love. I always want to extend my hand in whatever I can do to help them especially those who need it the most. That's my strength and weakness which this coffee craving test brought out. 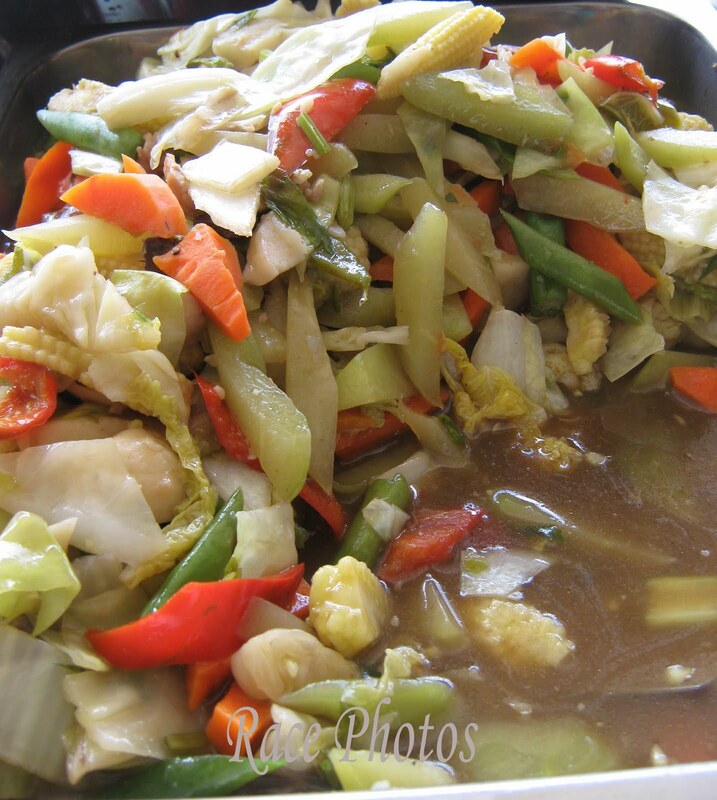 Here's one favorite recipe of mine which is complete for me, vegetable and your choice of meat. 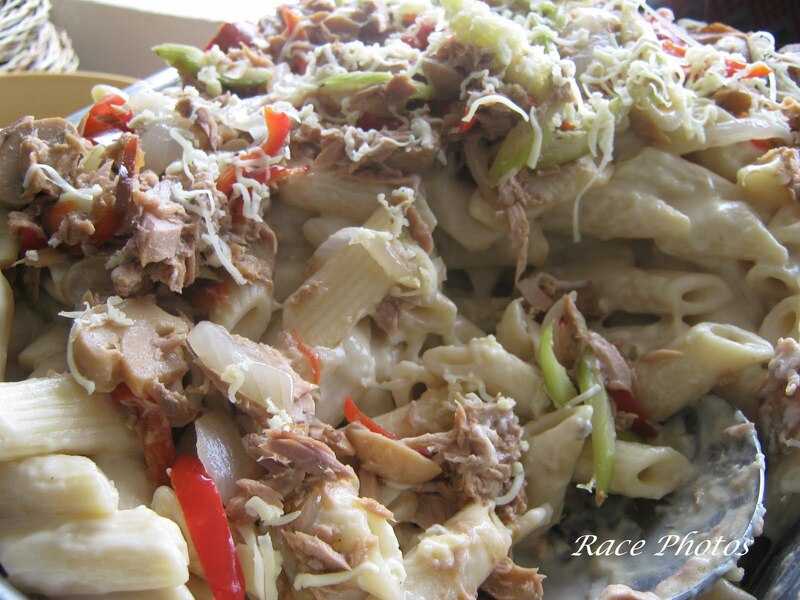 You can mix the veggies with chicken liver, chicken meat or pork. But if you want to make it without meat I have my original recipe of adding tofu chicharon which you make by frying breaded tofu and sprinkling cold water on it. Then you can just put it on top and around the cooked chopsuey. For me it's best to have chicken liver and tofu, it's cheaper too. My former office deals with selling international phone cards and termination calls. To promote our business we always have a need for brochure printing that we’re sending and giving to those clients that our sales and marketing staff come to meet. 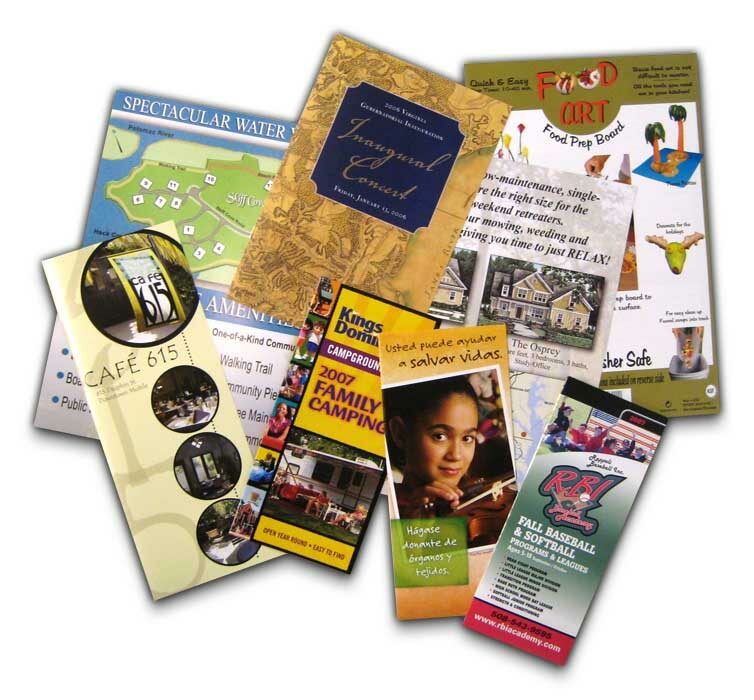 Brochures are great aid for introducing the company and products which the client can see the company’s scope of business, services, products and contact numbers. It must project a good image for the company so it must be printed in high quality to ensure best marketing results. When you want to mail your company’s credential and introduce the best of your services and products you might as well need a good postcard printing because full-color beautiful postcards are known to be the most effective and economical way of sending your advertisement and promos to your clients. It’s a great advantage if your postcards will stand out among other companies in your client’s mailbox. To get the best quality printing for your brochures, postcards and business cards visit conquestgraphics.com where you can experience a one-stop shop for all your marketing communication needs. They offer offset printing, digital printing, graphic design, photography, website design and many more. They also protect the environment and employ green printing methods in their services. They practice eco-friendly operations and has been certified by FSC. Now with all of these great features from them you can have free business cards from them if you let their graphic logo and contact information is printed at the back of the cards. Our church is renting a room in one of the buildings where at the ground floor lies food franchise company that offers different kinds of franchises depending on the food you want to sell. They have variety of small concession trailers for sale each with logo and design of the food you want to sell such as waffles, hotdogs, fried noodles, empanada, burgers, tacos and many others. When I resigned from my office work I thought of getting a franchise of one food concession trailer but I opt to think and plan before venturing into a new business. I have to plan where to put the trailer, the staff that I will hire to manage and the target customers of the business. 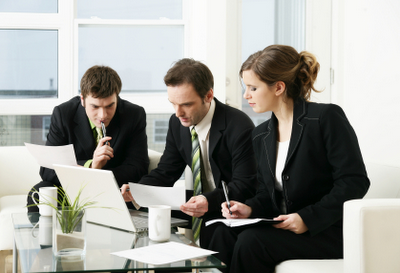 There are many things to be considered when putting up a business no matter how small it is. Well I have browsed upon a company who takes pride in doing these crafts. Custom Concessions build high quality concession trucks made especially in the strictest quality control to easily pass the health inspection department. They have variety of floor plans and various options for the customers to choose from. They design and build trailers for kitchen, bathroom, restroom, living quarter and food trucks. Visit their site to see their photo gallery of products. Since DH is on a week vacation before his classes I’m always thinking of recipes so he can enjoy his vacation more. We’re a family that loves pasta and since I have stocked my pantry with some ingredients I made our afternoon snack and dinner to our kids’ delight also. They always tell me that it’s one of my master recipes so I really make it my worth to make my spaghetti more yummy and something that they will ask for more lol! I don’t want to advertise on products but I really love Hunts spaghetti sauce whatever the flavor is and when they asked me how they can cook their spaghetti as yummy as mine I’ll teach them to use my brand and give them the exact measurement for every kilo that they want to cook. Well I have other brand aside from the one I’m using just in case I run out of stock or the grocer run out of stock but I really prefer Hunts for my kids’ taste. 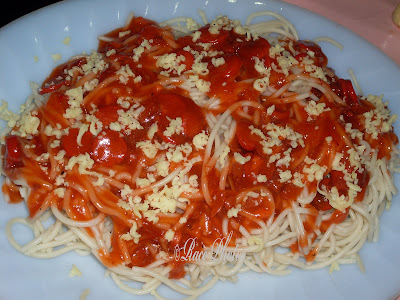 I also love white sauce pasta but my kids love red-sauce ones so I cook it more often. It’s a common problem for women who gave birth to have a fat tummy or big stomach. I remembered that every time I gave birth by caesarean delivery I always find it hard to have stomach weight loss because we weren’t allowed to have exercise within one to two months and if ever we’re allowed after the second month it will be just the simple warm up exercises and nothing to make the tummy smaller. For those who had a normal birth delivery it’s easier to gain back the old slender form because they were allowed to exercise sooner although I’ve seen many of them still have fat stomach also. Anyway it’s just not because of giving birth but some habits like sitting long in your chair too long, jobs that require people to sit for hours without time to stand up, lack of regular exercise or exercises that will not lessen the fat in your tummy, laziness in moving around the house and many other habit that slowly contributes to big stomach. Well it’s not that bad if you’re married because they will just ask if you’re pregnant but with the single ladies it would embarrass them to hear those words lol! We’re all complete in the house since Wednesday and I’m slowly moving away from my cleansing diet. I don’t know now if I’ll need diet pills in few weeks’ time. I’m taking half cup of rice at lunch and dinner and can’t do something about it because it feels so good to eat when DH is at home. I can’t go on with eating veggies and fruits alone because I’m inspired to cook different pork and chicken recipes everyday. It’s always nice to cook for the whole family and eat with them too. so there goes my healthy meal diet plan. I’ll try to get back to eating fish, veggies and fruits only next week after hubby’s vacation. You have a zest for life, and you're always finding something new to be excited about. You have an amazing imagination, and unlike most people you tend to put your ideas into action. You're always looking to improve yourself. You never stop learning or growing. You are true to yourself and never a phony. You are always completely honest with people. This is really true, life is something that you need to be excited about. There are lots of things to do, to imagine, to dream and to thank for. You just have to put your imaginative ideas into action to feel the excitement of life. We really have to learn more and never stop educating ourselves in the fields we never walked before. I'm planning to study again but not to have mastery on my finished degree but to learn baking. For me it's better to study what you didn't learn from college and I can also use it to become a full-pledged super Mom, don't you think so? I don’t want to work early morning today because the busy schedule and plenty of works got the best of me and I suddenly felt tired and weak. Yes just like a battery I felt drained due to many activities in the past few weeks. Anyway I didn’t feel any resentment as those busy days were all happy days of occasions, birthdays and church activities. I really have to be up on my toes so after 2-3 hours of lounging on the sofa I began working again. I checked first some acne solutions that will help my niece in her acne dilemma and then I opened my mailbox. After warming up with letters and comments I started working on due tasks and was able to finish in time. The afternoon got busy as well with me cooking our favorite pasta as afternoon snack and dinner. Well that’s the reason while I’m still working up to now! Rainy season is here at last and we welcome it with open arms because it decreased the heat we suffered for 3 months. It’s still hot sometimes but it’s more bearable now than before. Well as rains will surely come every day we need a lot of cleaning and maintenance to do including gutters, drainage, roofing’s and filters to clean like furnace, humidifier and spa filters. Actually we’ve already started this day on our general cleaning project and we felt good after seeing the results. It’s cleaner and more organized than before. It's time to thank all people and friends who dropped by, read and visited my site. You helped me in some way and I'm so grateful about it. Special thanks to the below top droppers who most have been in the same place like month like my friend Liz. Thanks!